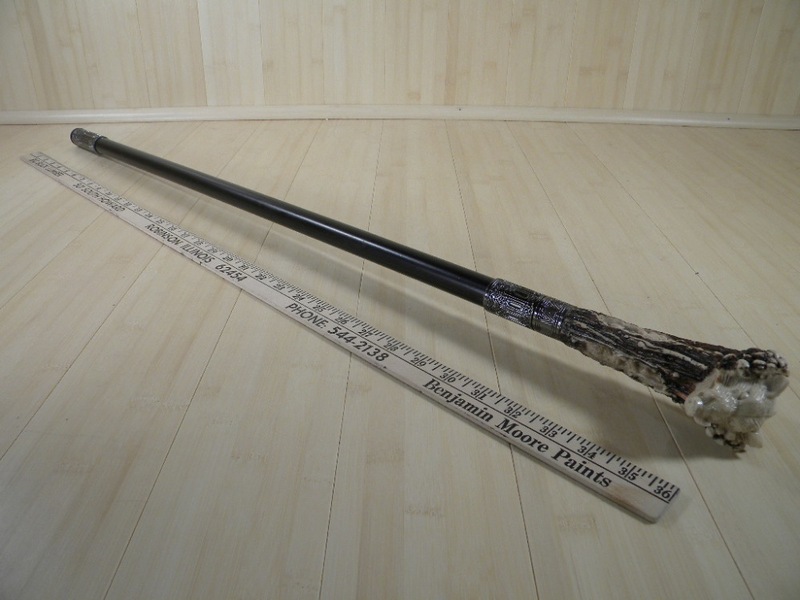 This sword cane features a boar's head on the handle of poly resin. The handle also features separate pictures of eagles, deer and wolf in the handle. It also has a black metal scabbard and a twist off handle. ▪ Overall Length: 37" Blade and Handle: 22 1/2"